“Big Springs” is located 25 minutes south of Wagga Wagga and has been in the Wilson family for over 150 years. We farm cattle, sheep and crops. 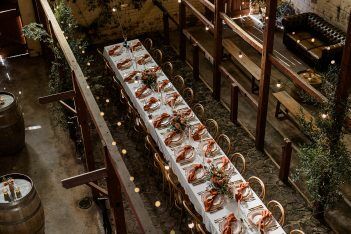 We have hosted many family weddings and events around the homestead and in the beautiful old stables over the years, and want to offer the space to others. 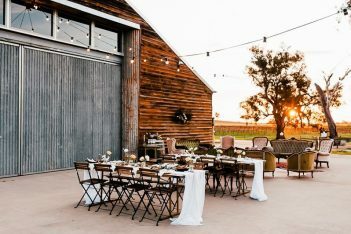 The old horse stables is a very large building and can easily hold 180 people for a sit down reception (no need for a marquee). The views from all aspects of the property are picturesque. We have removed the tennis court and turfed this area next to the lake for another stunning location. Luxury accommodation is available for the couple in the homestead. Be part of Big Springs Homestead history! The Wilson family have called Big Springs home for over 150 years. 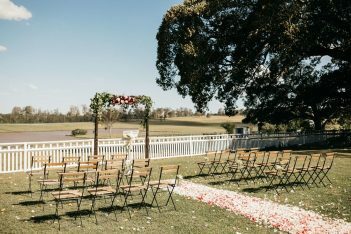 Angus & Lily Wilson (married May 2018) have decided it is time to open this beautiful, historical property for weddings and events. 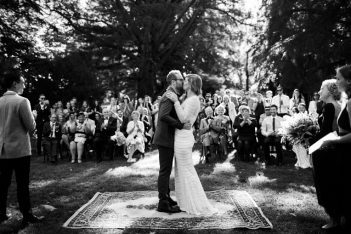 Gather Vintage Hire is a one-of-a-kind business. With all sorts of furniture that you have never seen before, and that your event cannot survive without! Ivory Lane specialises in premium, boutique Wedding and Event Styling, Stationery, Planning & Decor Hire. Ivory Lane is the only choice to enhance and beautify your next event. Based in Tamworth, servicing New South Wales and beyond.